Certain edible plants return each year, and some are easy to have in the garden. These I call volunteer vegtables since they so willingly come back in Zone 5B. 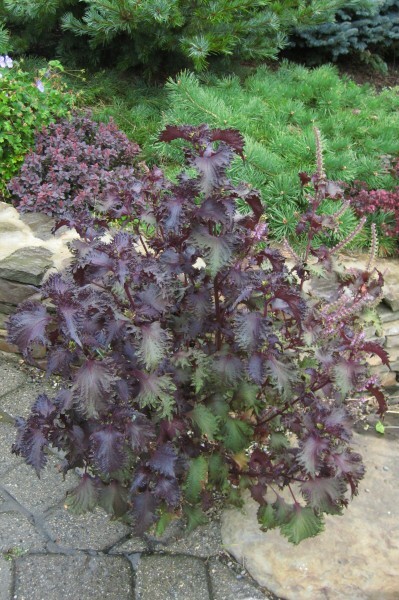 I first met the red leaf Japanese Perilla, also known as Shiso, at a supermarket in a plastic bag. A bouquet of 15 or so rooted, leafy stems of a plant I had never met were being sold with the herbs, next to the Basil, so I took them home for a taste…. They were flavorful in a unique way, and with their serrated mahogany leaves, the rooted plantlets looked like they might turn out to be pretty plants, so I put some into the garden. They grew well and were beautiful against backgrounds of green with their contrasting color, and they echoed the reds of nearby Japanese Maples, Euphorbias and Heucheras. 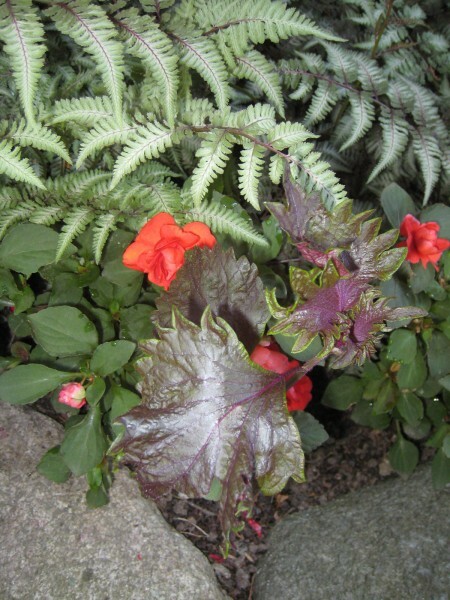 The red Perilla holds its color even in partial shade, and this rare quality can be useful in your ornamental plantings. Much to my surprise, with no encouragement at all, this plant returned abundantly from self sown seed. It has come back every year for the last 8 years here in coastal z5, and now ornaments many garden places and I practice subtractive gardening to keep the numbers in check. It is fun to have pretty plants around that you can just eat a few leaves from when you’re in the garden. For the same reason I love having bronze Fennel (Foeniculum purpureum) around in sunnier places. It too comes back reliably on its own here. It has a rusty red color, a feathery texture, looks nice amongst the perennials and towards the end of the season, I can eat pinches of seeds whenever I pass by. There are plenty for me to take some and for the plants to still self sow modestly around. Some years later, when making a landscape for a client who is a sophisticated and adventurous chef, we sowed purchased seeds of an all green form of Japanese Shiso. Reputed to be the most delicious type, Ao-Shiso is a very sought after ingredient for sushi. It proved itself to us to be delicious, tastier than the red form, if not as ornamental. I roll the leaves and cut them with with scissors as one does with Basil, and add them to salads and sautes. Perillas are known to contain omega 3 acids and are used in traditional Chinese medicine to encourage the immune system. Our enthusiasm for this plant grew as Ao Shiso returned the following year alongside its mahogany cousin, also having great numbers of seedlings. It has been back in profusion for 3 years now. Both types do fine in partial shade, and it’s hard to find edibles you can say that about. They will also be fine in sunnier places, but don’t give them too much sun or they will mature quickly and won’t be pretty or delicious for as long a time. 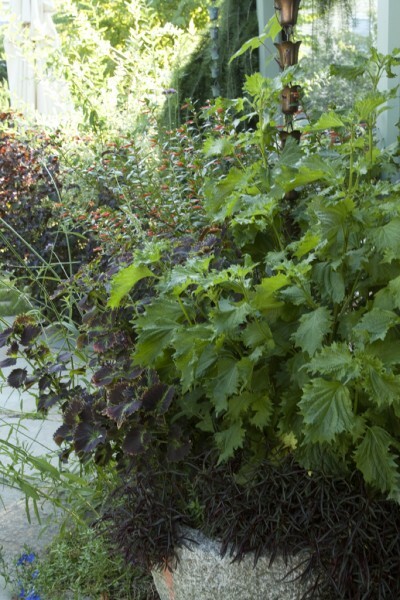 Either of these kinds of Shiso will stand 18 to 24” or so tall at maturity, and they can be assets in the ornamental garden as well as the kitchen, but you will prefer to place them where you won’t mind that they seed themselves around prodigiously. Your other ornamental plants need to be protected from their ebullient colonies. Picked young, the leaves of these plants are especially delicious, so if they land up amongst your other plants, they can be harvested with their roots on when small, and so removed and eaten before they cause trouble to your other plant residents. The gathered ones can be kept in water with their roots on for an edible kitchen bouquet, though the leaves are at their best when freshly picked. I leave both kinds of Shiso babies to grow to maturity where they are handsome and aren’t bothering any other plant residents, harvesting their leaves as needed for cooking or decoration. Their handsome appearance wanes as they go to seed, so you may want to consistently trim off their seed heads or remove some considered number of plants to keep things looking tidy. By doing these things you may also avoid having more seeding around than you want. In Japan the seedheads are part of flavoring and decoration of a great variety of foods. At the end of their time of good appearance, I trim them flush to the ground or remove the plants altogether, depending upon what is best for the nearby garden. If you shake some of the seed heads you get from trimming into an envelope, you can decide later where you do and don’t want them next year. Wait to sow them until you finish cleaning your grounds in fall, scrabble the earth a bit and sprinkle from your envelope. Put a dusting of earth over them. They will be back next year. To get things started, you could begin them in spring from commercially available purchased seeds or, if you visit my gardens in the growing season, these and other unusual plants I have written about in my articles can sometimes be bought to take to your own place. 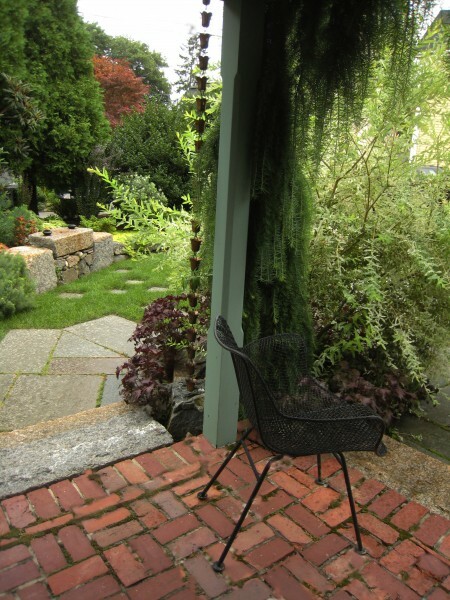 This entry was posted in Food Plants, Garden Making Guidance, Plant Portraits and Stories and tagged antique garden ornaments, Ao-Shiso, asian vegetable, bronze fennel, Chinese medicine, come back food plants, edible ornamental, evergreenseeds.com, fennel, foeniculum purpureum, food plants, immune system, local plant nursery, local plants, marblehead plants, omega 3 acids, ornamental edible, Perilla, Perilla frutescens crispa, self sowing edible, self sowing herbs, shade herb, shi-so, Shiso, unusual plants. Bookmark the permalink. Post a comment or leave a trackback: Trackback URL. This is very interesting. I’ve joined your rss feed and look forward to seeking more of your fantastic posts. Also, I have shared your site in my networks. I am extremely impressed with your writing skills. 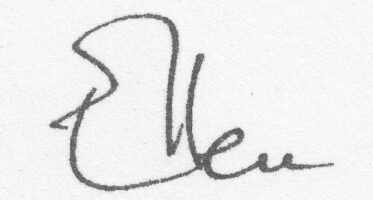 Keep up the excellent quality writing, it is rare to see a great blog like this one.